IC 348 is the small open cluster above the bright blue star near the center of the image. 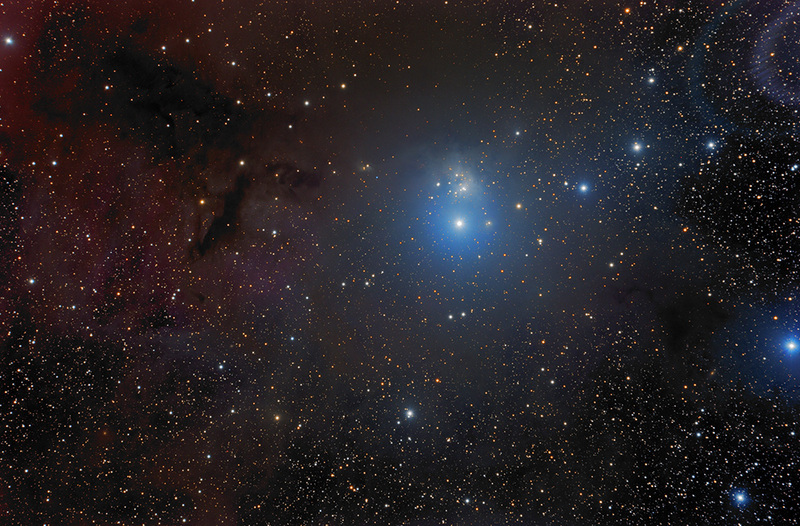 Barnard 3, 4, and 5 are dark nebulae in the left, center, and right of the image, respectively. Technical Notes: Exposures were obtained using CCDAutoPilot5 and TheSkyX. Images were processed with CCDStack2 and Photoshop CS6. A duplicate of the RGB image was combined with the original using Soft Light to enhance the color.